1. Is the Website Secure? Shop only on secure websites. The internet is full of hackers who are waiting for an opportunity to pounce on their victim. When sifting through free classifieds and sorting through different products searching for the perfect one, you can easily loose track of what site you are on and how you got there. Always make sure that the website you are looking at buying that new shirt, latest book or even a car has the URL https:// instead of http://. The “s” means that the site is free from hackers and will have a key in the bottom right corner. Shop privately. Shopping should always be done in the privacy of your home on your own computer. You never know who is watching you when you pull out your credit card and type in the numbers and expiration date nor are you certain of the malware or spyware on a public computer. You’re best staying in your casuals and browsing the free classifieds from home. 3. Credit Card or Debit Card? Use a Credit Card or Gift Card instead of Debit Card. Most credit card companies offer theft protection if the offense is reported within 30-60 days. If someone gets a hold of your Debit card, they can wipe out your bank account instantly leaving you no time to report it. Using a gift card assures you that no one will access your account information. 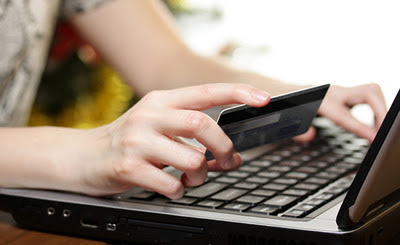 Consider creating a separate bank account only for online shopping. When ready to make a purchase, transfer only the amount needed. Be sure to check the account activity for fraudulent charges that you don’t recognize. 4. Don't Store your Information! Never store your information. Large companies give you the option to store your information on their server to allow for a faster check out next time. Your information is always at risk when on the expansive World Wide Web. Take the extra 3 minutes to enter your information each time. When buying a car online, there is no need to store information since this purchase is usually a one time deal. Save yourself the headache and don’t store information. Though we usually are too eager to click the “purchase” button, do bear in mind your safety when shopping online for anything. You are exposing yourself via name, shipping address and bank information. Hackers are very good at what they do, but don’t make it any easier for them. Like the post? Please share with your friends!